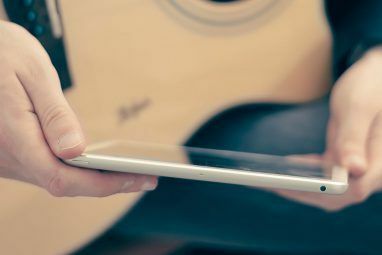 If you’re a keen guitarist with an iPhone, iPad or similar, then you may or may not be aware of the plethora of apps aimed at musicians out there. Some apps can be quite expensive, and professional grade music equipment isn’t cheap either – so if you’re eyeing up a new amp, replacing your pickups or repairing ol’ faithful at least you can save some money in the app department. Here are 5 completely free apps aimed at all skill levels. Regardless of musical ability, these apps can be useful to any guitarist. Another free app with a stellar line-up of features. 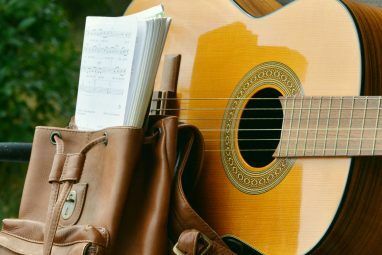 Guitar Buddy provides you with quick access to essential learning materials Essential FREE Tools to Learn Guitar Playing Online Essential FREE Tools to Learn Guitar Playing Online Read More , with the option of having a few in-app purchases as well. 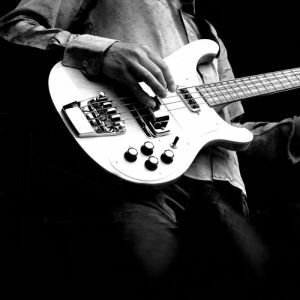 These essentials include 30 scales, in excess of 300 guitar licks (movements), 20 free classical tabs and a chord dictionary with over 1,300 chords included. Obligatory mention time! For capturing that chord progression, bridge, solo or harmony on-the-go – you just can’t beat the plain old sound recorder. Who knows what might be lost forever if you never make a recording of it? Don’t forget you can email your recorded files to yourself for later analysis, also known as “what was I thinking?”. Instead they’ve got an app, which provides a beautifully formatted version of the tabs on their website (not to mention easy search, a touch interface and so on). If you’ve been searching for the absolute best way to view tabs Power Tab Editor: Can Free Tablature Software Make You a Better Guitarist? Power Tab Editor: Can Free Tablature Software Make You a Better Guitarist? Read More on a small screen, already have a UG account with plenty of favourites and don’t mind paying $2.99 (£1.99) then this app will deliver the goods you’ve been crying out for. Note: Any tabs you find are not available in your region are probably due to a “copyright claim” by a regional body such as the Music Publishers Association who believe that individuals tabbing songs constitutes copyright theft. Basically – don’t blame UG! 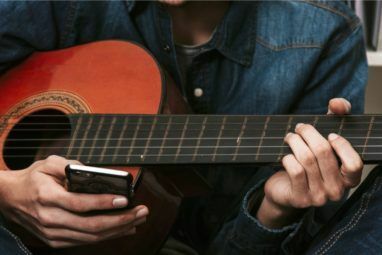 So there’s a decent line-up of apps that should help you with basic maintenance such as tuning to learning chords, scales and guitar licks and of course – full songs. If you’re reading this on a PC and are still looking for a good tab site, then I’ll say it again – Ultimate-Guitar. You won’t be disappointed. Any favourite guitar apps? Any paid efforts that are worth the money? Have you got an iRig yet? Let us know what your fingers are thinking in the comments box below. Thanks, I used elegantune to tune my guitar. Something we all should have!!! This is Great,when do i start??? Thanks - I've been looking for exactly such apps for me and for my son.